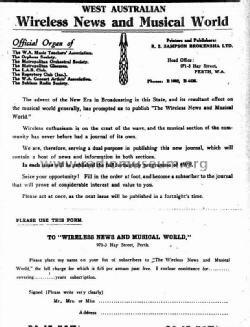 Published fortnightly from September 8, 1928. 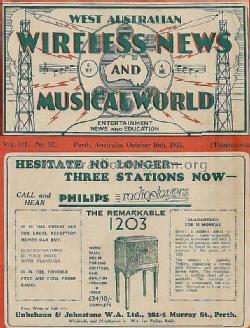 In September 1936 it became a weekly. 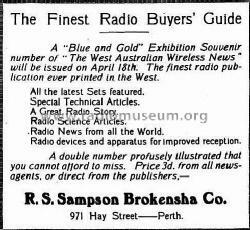 On April 18, 1932 they published a souvenir edition with a blue & gold cover. 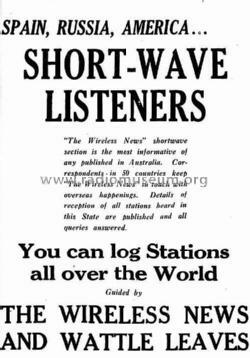 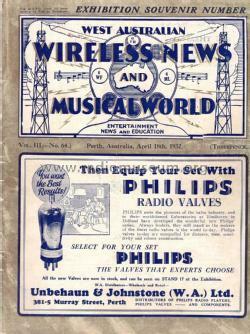 It was renamed WEST AUSTRALIAN WIRELESS NEWS from October 1933.